Friends, I gave myself a little treat today. I went back in time and relived a very sweet memory! Three years ago on this day, a little bit of sunshine entered the world: Lilly Arrow Brown. 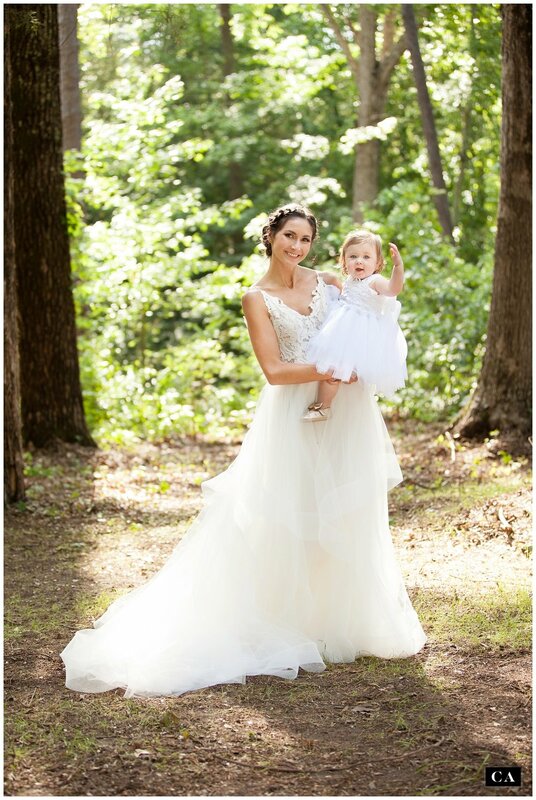 I am so blessed that she calls me “Mimi” and Jonathan “Jojo” (Eli is just plain old Eli!) Her parents, Anna and Daniel, are dear friends of ours, ever since we first began to know them as their wedding photographers. (Want to see their wedding day? You can see it here!) And we’ve been friends with Lilly’s grandparents for even longer! So when the day came for little Lilly to arrive, I was blessed to be a part of the crowd waiting to meet her. And of course I took pictures…. lots of pictures! 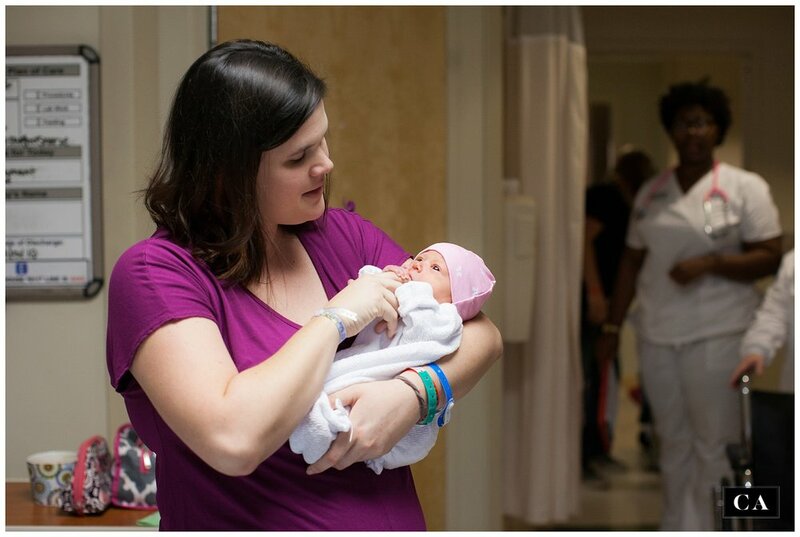 If you’ve ever spent the day in a hospital lobby, waiting for a baby to arrive, you know EXACTLy how these sweet families felt when they saw those first pictures of Lilly! When the shades opened on the newborn nursery, so many smiles, and so many happy tears…. 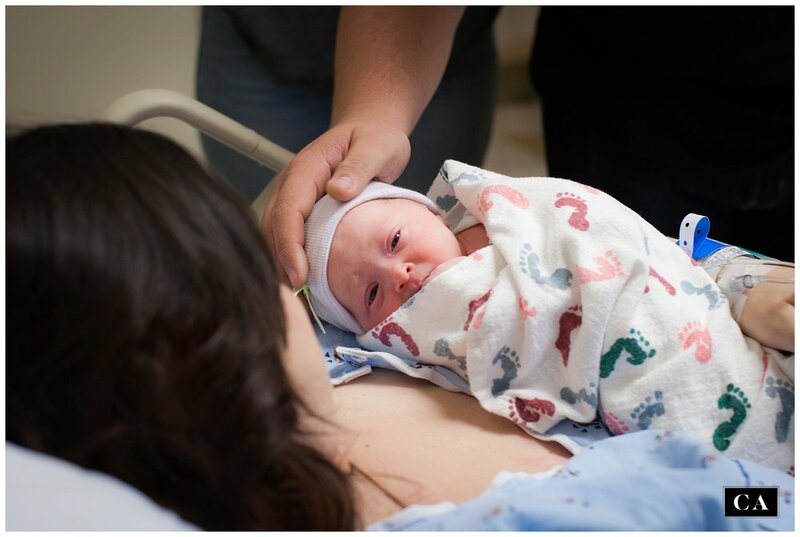 There was a BIG crowd of people waiting to see Lilly when her daddy brought her down to the room. If it hadn’t been for hospital rules, I don’t think anyone would have ever put her down. I look at these photos now, and I can’t believe how tiny she was! Is there anything so sweet to hold as a brand new baby? Welcome to the world, baby girl. You just made it a better place just by being born. A few days later, when it was time for Lilly to leave the hospital, I got to be there too. 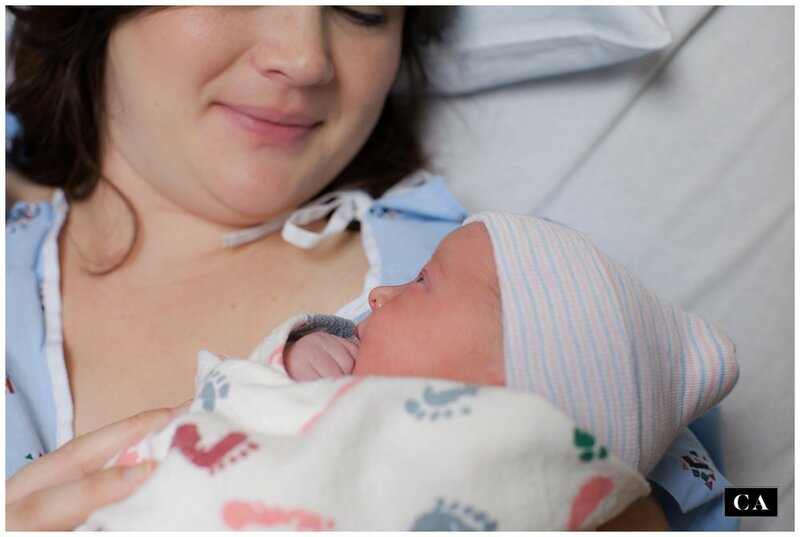 Y’all, do you remember how terrifying it was to leave the hospital with your firstborn? Everything is so brand new - putting on those tiny socks and diapers (that still seem too big) feels like such a challenge! Momma and Daddy and Lilly all made it safely home, to start the wild, sometimes scary, and absolutely wonderful process of becoming a family of three. So that was three years ago. And today, my little friend is celebrating her first three trips around the sun. And it’s all happened so fast! I’m so thankful for this little busy, brave Bumblebee who has VERY strong opinions about how her world should work. She’s definitely keeping her momma and daddy (and everyone else who knows her) on their toes! Plus she’s learning to be a very good big sister to her precious baby brother! She’s pretty used to being photographed too - her momma asked her recently to tell her what a photographer was. Her answer? “Mimi!” That made my day!! She’s also very experienced in the wedding industry, y’all. 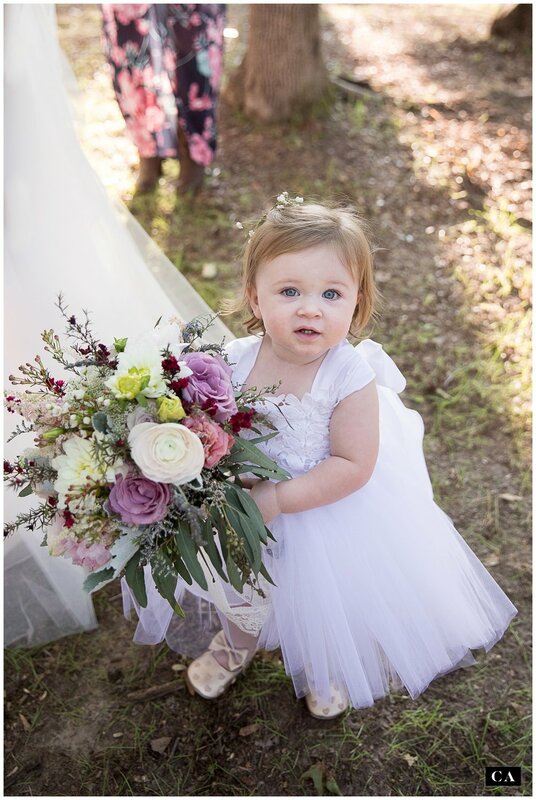 She’s made an appearance as a flower girl in four weddings already (we photographed three of them!) 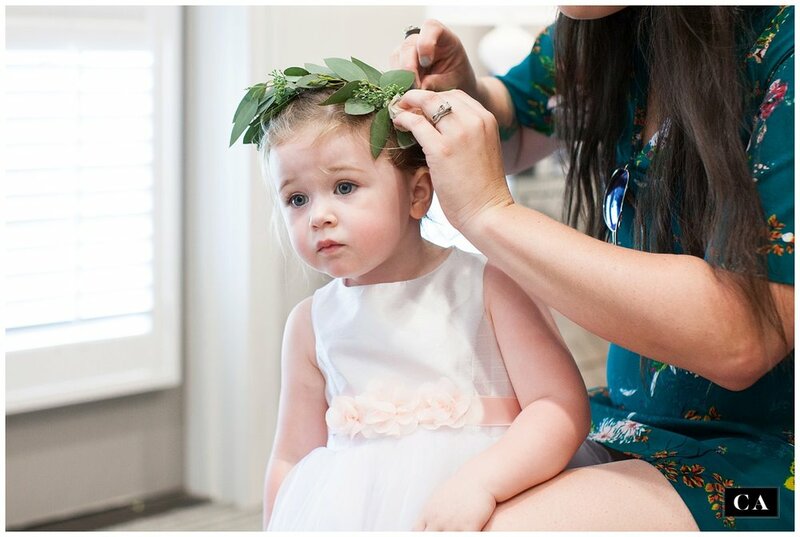 Here’s a little gallery of her flower girl career so far. I think she’s got this gig nailed, don’t you? Happy birthday, Lillian Arrow Brown! I hope this year brings you lots of adventures with your horses and your puppies, lots of snuggles with your mommy and daddy and brother, and plenty of Cheetos to go around. You’re a blessing to everyone who knows you, and I’m so thankful to be your Mimi!